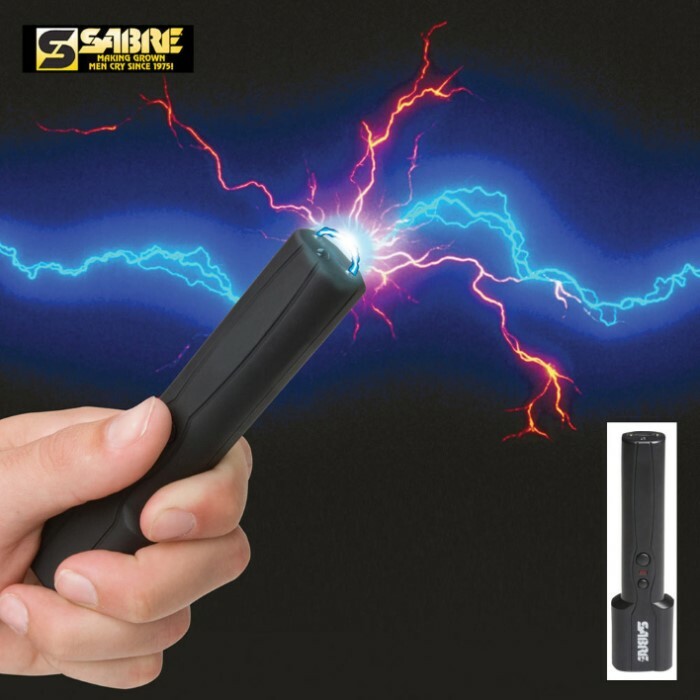 Sabre 600,000 Volt Pen Stun Gun | BUDK.com - Knives & Swords At The Lowest Prices! Protect yourself with this pen-sized stun gun! Walk in safety and securely with this high-powered pen stun gun. This stun gun delivers 600,000 volts of jolting electricity to any would-be threat. It has a rubber coated ergonomic grip for a very secure hold. Features a safety switch and a red LED light to prevent an accidental discharge. Additionally, this stun gun comes with a LED flashlight, a pocket clip and a nylon holster for secure storage. Batteries not included.